Bruce Honda wants to congratulate you on your diploma! 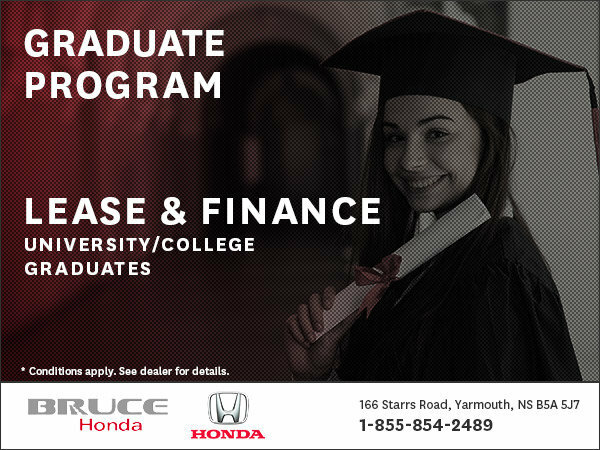 Honda Financial Services is making it easier for university/college graduates to qualify for leasing on our total automotive product line. This program is designed to provide leasing for recent graduates that have little or, in most cases, no credit history. I wish to receive recalls, news and promotional emails from Bruce Honda.